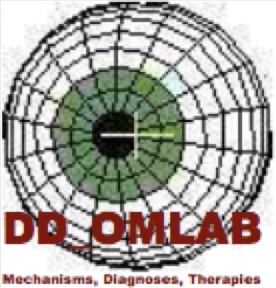 The lab will be held in the Ocular Motility Laboratory at the VA Medical Center. 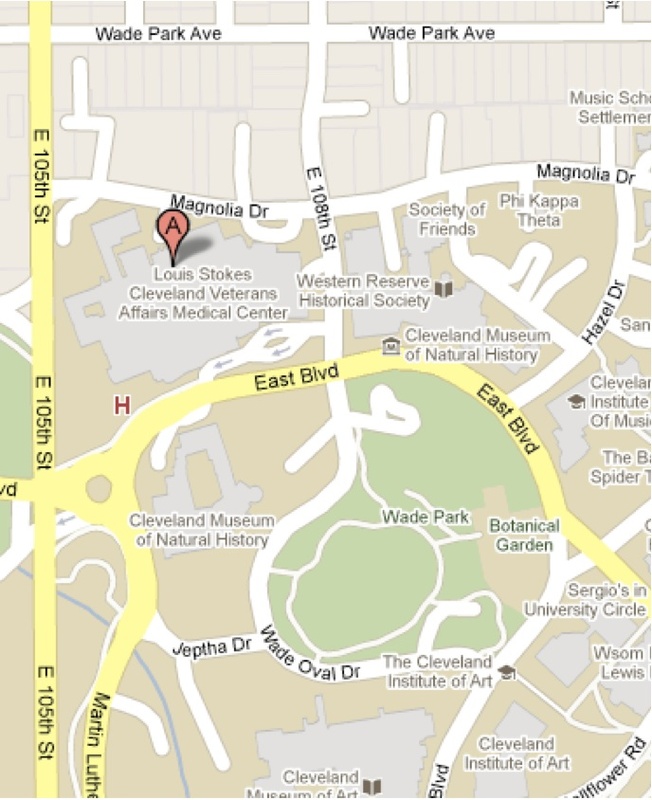 Here's a map to the VA. It should take about 15 to 20 minutes to walk here from campus. Give yourself extra time for getting lost in the hospital. Please note that there is NO PARKING available at the VA for non patients. The VA Police ticket aggressively and love it. The laboratory is Room BC-300. To find it, follow the signs to the Main Elevators or the Atrium elevators and go to the basement. 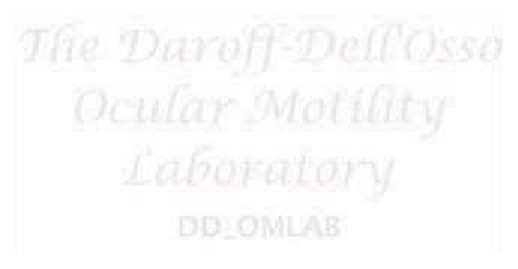 Follow the signs on the walls to "Ocular Motility." We are around the corner from Radiation Therapy, and on the same hallway as the Prosthetics Lab. Do NOT ask the "Information" Desk for directions. It is likely to be more confusing. UPDATE: There is so much unannounced construction going on that there is no predicting which corridors will be open and which will be closed. If you come across a blocked hallway on the way to the lab, you will need to backtrack and try from the other direction. Sorry I can't be more specific than this. If you get really stuck, call the lab at (216) 421-3224 (or extension 5227 from a VA house phone). The pre-lab lecture will be on Tuesday, October 11th, from 5-6 PM, (location TBD?) in Wickenden 322. Download the EBME 319 handout. (Zipped PDF). UPDATED 29 Feb 2012, clarifying some points for the lab report. Print this out and bring it with you. Read it carefully and completely before the lab. There is a lot of information that you need to be familiar with so that you can perform the experiments properly and in a timely manner. BIG HINT: Read these BEFORE the lab, so you know what to expect! NOTE: 11 March 2011, 10:00 PM. If you are having problems installing the newer version of zoomtool, download this older version and replace the other one. Problems include the inability to create a 'ztprefs' folder. Make sure that you have administrative privileges before attempting to install zoomtool. Do you still have a question about the laboratory report? I have combed through email I have received from students in years past. Here they are, compiled and minimally edited for your reading enjoyment. Please read through them to see if your question has already been asked and answered. If you email us, put "BME319" in the subject line to avoid our spam filters! Just for fun, here is a link to an article about reliability theory and aging that I mentioned during the pre-lab lecture.